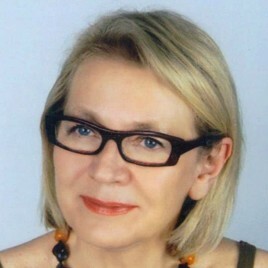 Art historian, head of the visual arts department at the Ujazdowski Castle Centre for Contemporary Art in Warsaw, where she has been working since 1985, curating many art exhibitions by Polish and foreign artists. Art critic (associated, among others, with Obieg, Magazyn Sztuki, and the Exit magazine. Author of texts for catalogues, biographical notes included in the Słownik Malarzy Polskich [Dictionary of Polish Painters] (Arkady) and several dozen translations of books on the theory of art and its history.